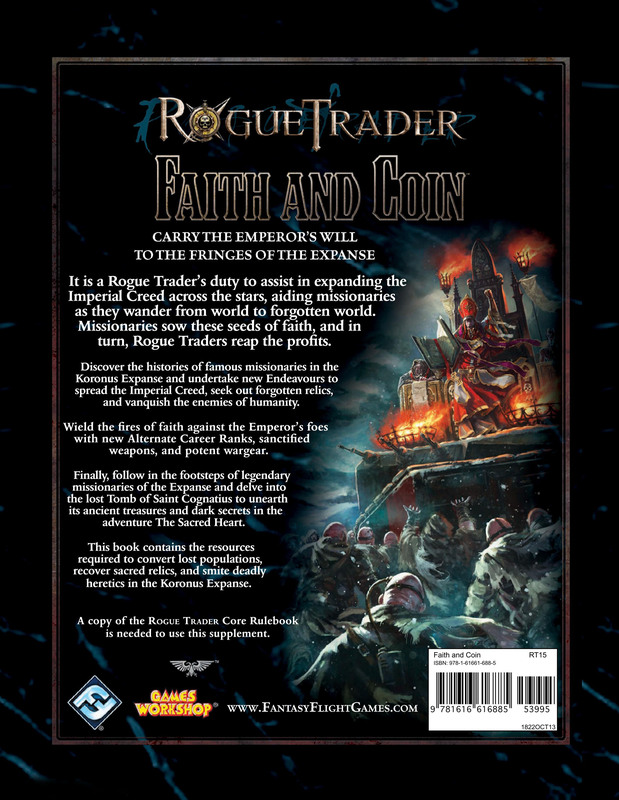 It is a Rogue Trader's duty to assist missionaries in spreading the Imperial Creed across the stars. 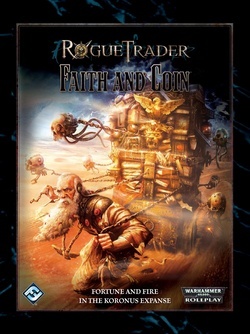 In Faith and Coin, a Rogue Trader supplement for players and GMs, the complex relationships between missionaries and Rogue Traders come to life, with new Endeavors to complete and new worlds to convert. 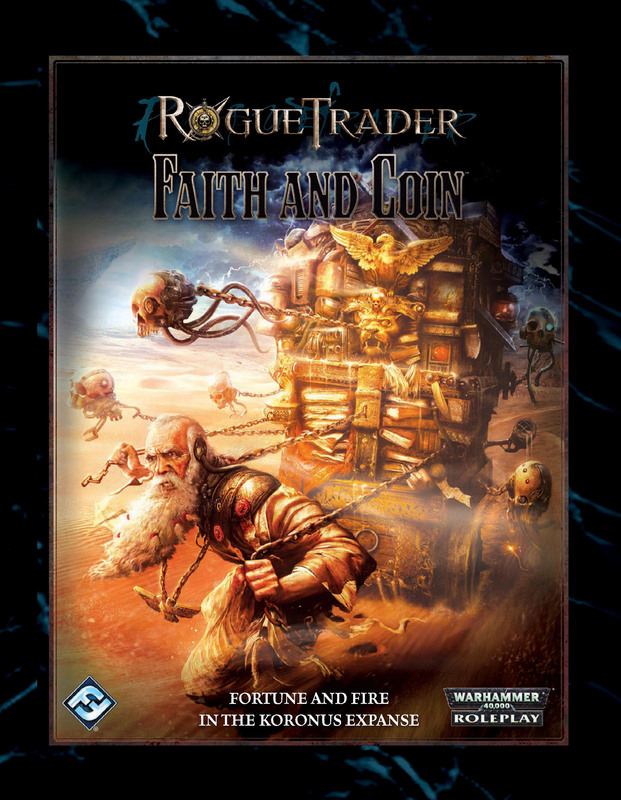 Find sacred relics, smite vile heretics, or embark on new Alternate Career Paths with the grace of the God-Emperor guiding you every step of the way. 004 | What’s in this Book? 058 | Destroy the Apostate! 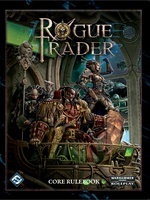 Playtest Coordinator Ronald DeValk. "Unrepentant" Lachlan "Raith" Conley with Jordan Dixon, Rhys Fischer, Nicole Gillies, and Aaron Wong. "Rooster Booster" Ryan Powell with Jessical Powell, Matt Bogart, and Rich Sanders.